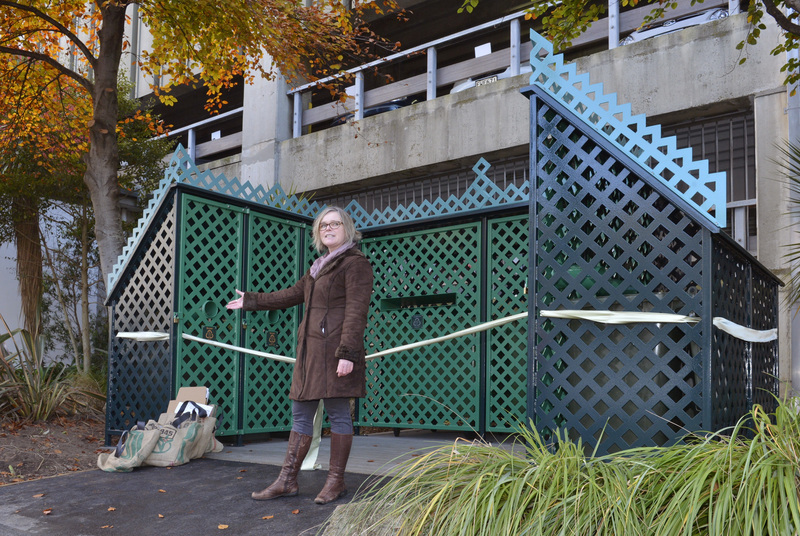 Dunedin City Council solid waste manager Catherine Irvine explains the benefits of inner-city recycling drop-off points at the opening of the first such facility in Dunedin in Moray Pl yesterday. The facility would provide a place for inner-city residents to get rid of recyclable rubbish, she said. People living in the inner city did not have access to kerbside recycling services. Feedback from residents in the area had been "very, very positive", Ms Irvine said. The drop-off site, next to the parking building at the bottom of View St, would be trialled for 12 months. A second trial facility would open in Vogel St later this year.